Debates held at gatherings to discuss the political situation in Bosnia and Herzegovina all too often involve abstract theoretical reflection, without taking into consideration the reasons the country is stuck in an impasse from which it can neither move ahead nor go back. Real understanding and an objective and informed view of contemporary reality in Bosnia and Herzegovina can be attained only by reference to the facts, which history has marked with its bloody seal. Bosnia and Herzegovina can be discussed only out of the depths of its experience, by sharing the horrors of its tragedy. My reflections start from the fact that Bosnia and Herzegovina was attacked and abandoned. That it was abandoned can best be confirmed by the judicial opinions issued by The Hague War Crimes Tribunal: they determine the nature of the conflict in Bosnia and Herzegovina and identify war criminals and warlords. Bosnia and Herzegovina was also abandoned , in so far as the International Community failed to take adequate measures to prevent mass persecution, massacres and genocide. Given its military capacities, it could have done so and, in accordance with the UN Charter, was duty-bound to defend a UN member under attack. However, the slow machinery of the international institutions reacted too late to prevent conflict or protect the civilian population in 1992, just as they are late today, now that Bosnia and Herzegovina has in practice been partitioned. The International Community still believes that certain cosmetic changes to the Constitution can turn Bosnia and Herzegovina into Switzerland: instead of radical measures the International Community is searching for palliative solutions, just as in 1992 it developed a plan for delivering humanitarian aid instead of a military intervention. Bosnia and Herzegovina cannot achieve the required degree of legal and political stability as long as there are two states within the State. Nor is this contradictory and absurd situation logically viable. Moreover, it is insulting at a human level, as the entity borders follow the wartime demarcation line. Borders should be fixed on the basis of historical, natural, economic and other features. Not even under foreign rule was Bosnia and Herzegovina ever divided on ethnic grounds. Today, after the ethnicisation of territories and mass persecution of the population, a sort of parallel state, the Republika Srpska, exists, representing the aggressor’s spoils of war and the realisation of the hegemonic aspirations that led to conflict in 1992. The country’s security is hardly strengthened by having two different ethnic police forces, any more than its cultural development is by having a dozen ministries of culture or the concept of “two schools under one roof”. Is economic development likely, where when all the fundamental systems (power supply, transport, communications), as well as the tax and customs systems, are doubled or tripled? Should local authorities control public property as if it were their own, having in mind that this property was created by effort and resources invested by the whole society of the former State? The peoples of Bosnia and Herzegovina have never asked for such a model of society. The Constitution of Bosnia and Herzegovina was not adopted by the Parliamentary Assembly of Bosnia and Herzegovina, but imposed in Dayton. It does not reflect the spirit and political will of all the peoples in Bosnia and Herzegovina, nor is it tailored to their needs. The task of implementing this Constitution was given to UNPROFOR, IFOR, and their civilian counterpart, OSCE. From its very arrival to Bosnia and Herzegovina, the UNPROFOR mission was both contradictory and absurd: the military forces were on a peace-keeping mission, while war raged through the land. Instead of peace-making, the international forces began to monitor military operations with a view to dividing the territory of Bosnia and Herzegovina on ethnic grounds. With such pressure from the international factor and procrustean solutions reached without its people and contrary to its historical experience, Bosnia and Herzegovina is now facing a world of consequences, post festum , with everything already been decided upon and intervention almost impossible. The facts have already been established and are undergoing legitimation. The partition of the State, which once seemed a temporary solution, has become a permanent situation involving ‘statelets’ and parallel institutions. The war has passed but the antagonisms are not: the Dayton entity borders have legitimated the idea of separation and ethnic territories. Dayton legitimated an accomplished fact, having first declared the end of the war without declaring who won or who lost, and established the percentage of territory belonging to each of the two demarcated entities. A democratic state cannot be built on such grounds and premises; Bosnia and Herzegovina is denied the opportunity to develop the idea of the State and restore the spirit of its democratic institutions. In a word, the Dayton Agreement has now become an obstacle to both the political and the economic development of Bosnia and Herzegovina, as well as to stabilisation of the region. It is therefore legitimate to ask why the Dayton Agreement is now being read as a normative document instead of being interpreted as one subject to evolution, all the more as none of the individual signatories remain among the living. In addition, the situation in Bosnia and Herzegovina was set up and determined by the International Community, which, therefore, has both the legal and the moral duty to enable the peoples of Bosnia and Herzegovina to find the best way to Europe, instead of abandoning the country to the autocracy of local leaders, many of whom still support the very ideas that led to conflict in 1992. The International Community deploys promises (which are not fulfilled), outworn stereotypes (which have always failed, from Munich in 1938 to Cyprus in our day), threats and sanctions (which have little effect); it tries war criminals in court, but their ‘statelet’, their monument, lives on. Finally, the International Community must say what it wants to do in Bosnia and Herzegovina – to establish a sovereign and territorially undivided state or to pacify the region. For, it is futile to insist on constitutional amendments that do not affect the core organisation and security of the State. Quite the contrary, after the state authorities have established control over the whole territory of Bosnia and Herzegovina and after their central mechanisms have been strengthened, the issue of constitutional arrangements becomes a technical issue for legal experts. 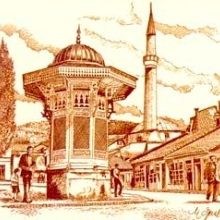 Despite the obstacles arising from literal interpretation of the Dayton Agreement and despite the inertness of the International Community and its indifference towards the aggressive rhetoric of nationalist leaders, there do exist solutions whose implementation is hoped for and supported by forces that respect the historical and legal integrity of Bosnia and Herzegovina and the mosaic of its peoples and cultural traditions. 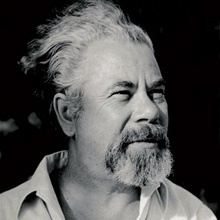 We would, first and foremost, point to the need to reintegrate the State, with wide and communal self-governance, reduction of political bureaucracy, centralisation of the vital functions of the State, economic reconstruction of the country, and stimulation of major investment projects, directing investments towards production instead of budgetary expenditure. These are only some of the requirements to be met, before Bosnia and Herzegovina can be seen in the light of European integration. In Dayton, Bosnia and Herzegovina received a constitution never voted for by Parliament. The constitution was imposed as the basis for the future constitutional order of a country just emerging from war. This decision speaks volumes about the political and legal status of Bosnia and Herzegovina within the community of European countries. Although the decisions made in Dayton were indispensable and helpful in ending the war, they had long-term negative consequences for the development of democratic relationships in Bosnia and Herzegovina: among other things, the agreement did not define the character of the war, while it afforded equal rights to both the aggressor and the victim. The agreement was therefore based more on the requirements of political pragmatism than on the imperatives of ethics and common sense. But a righteous peace can never be established without confrontation with the truth and confession of guilt for crimes committed. The decisions of the International Community with regard to the internal organisation of the country were no less paradoxical: although the community acknowledged The strategy adopted by the International Community for Bosnia and Herzegovina during the conflict was not only contradictory but also deeply unjust and inhumane: when there was need to protect a sovereign state and UN member, the International Community showed no political will to prevent “ethnic cleansing,” massive bloodshed, or genocide. When, on the other hand, they saw the need to end the war, the same community, with the UN’s blessing, deployed all its power to equate the aggressors with the victims and divide the territory along lines where the aggressors carried out their worst crimes against the civilian population. In this way the Dayton Agreement legitimated the territorial conquests of the war, which the aggressor had no intention of relinquishing at the negotiating table. In fact, the Dayton Agreement ratified a fait accompli, while Bosnia and Herzegovina found itself facing a “world of consequences,” powerless in the face of thousands of victims, unable to establish a just and lasting peace. Though such a peace can never be achieved if justice is not served, the International Community drew up a plan to end the war without winner or loseWeight Exerciser, with the “belligerent sides” sharing the responsibility and the aggressor enshrining its right to territories conquered manu militari. A literal application of the Dayton Agreement did not, therefore, eliminate the danger of separatist tendencies leading to a territorial, political, economic and cultural partition of Bosnia and Herzegovina; i.e., to the disruption of its constitutional order. This gave rise to the need for changes to the regulations of the Dayton Agreement and the constitution of Bosnia and Herzegovina, a result of this agreement. a sovereign Bosnia and Herzegovina and its historical continuity, it recognized two states (albeit not as international subjects) within the State. Further, with the help of the United Nations, it proclaimed protected zones in Bosnia and Herzegovina without undertaking any measures (except monitoring) to actually protect them. This community is tracking down people charged with command responsibility for the crimes committed, while hundreds of killers and butchers are still on the loose and even holding office in Bosnia and Herzegovina and elsewhere. The International Community continues to ignore the entreaties of the Srebrenica survivors to ascertain the role of the “Blue Helmets” in the July 1995 massacre, even though the available documentation shows that the representatives of the International Community who did nothing to prevent the carnage are just as responsible for the Srebrenica genocide as Mladić and his criminals. These paradoxes are an expression of an incoherent foreign policy within the International Community: the interests and the strategy of the Americans were different from those of the Russians, French and the English. In fact, all these countries differed with regard to their interests and strategies, as well as the positions of their governments. These political differences would prove fatal for Bosnia and Herzegovina. In appealing to these facts and analysing the mission of the International Community in the Balkans and particularly in Bosnia and Herzegovina, one logical question emerges: what does Europe want to achieve in its south-eastern peninsula? In the past ten years it has shown that it wants pacification of the regions: in this, its war project has achieved complete success. Its civil organs (OHR, OSCE), however, have failed to establish a lasting or just peace; failed to ensure the rule of law or the functioning of community institutions; failed to create the basic premises for the normal existence of an independent state; failed to reform political and social structures or strengthen civil society; failed to enable the return of refugees and displaced people–nor have they managed to make return sustainable from the financial point of view, as well as in terms of safety; and they have even failed to bring to justice the most important war criminals. In a word, they have not managed to create the legal and political basis for lasting peace, the strengthening of the forces committed to the rule of law, or movement towards European and Atlantic integration. Paradoxical too is the position of the International Community and its High Representative, in allowing the nationalist parties that currently dominate the political scene in Bosnia and Herzegovina to persist in their everyday parliamentary practice of dismantling the Bosnian and Herzegovinian State by political means, as they did with weapons during the war. No reasonable person can deny the will or the right of a nation to political organization (even on an ethnic basis) according to its interests, needs and tradition. What cannot be accepted, though, is the practice of manipulation of a people and its patriotic feelings, and constant intimidation. One should not tolerate the stressing of ethnic/national interests to the detriment of general and common interests, nor should one watch with ‘stoicism’ the strength ening of secessionist tendencies within a State with international credibility and whose sovereignty has deep historical roots. The International Community has not realised yet that emphasising the rights to the protection of ethnic/national interests does not serve the ethnic group and does not contribute to reinforcing the State’s foundations. It serves the political oligarchy which sees in the multiplication of functions and government institutions a chance for the protection of its own privileges. Ten years of managing state business show that the representatives of the three governing parties have only very rarely tried to bring their positions closer together and harmonise their opinions. All problems, from the most banal (such as the look of passports) to the most important (the formation of a single army and police force), have been subject to the arbitration of the High Representative. On these premises of division and pretended defence of ethnic/national interests, it is not possible to build a common state governed by the rule of law, nor to democratise relationships or develop the idea of solidarity and mutual trust. A basic paradox of the International Community’s policy in Bosnia and Herzegovina is the lack of a strategic vision for the development of the political, economic and cultural systems; this is policy without an ideological vision, without an “educated hope” (docta spes), without open horizons; its operative circle, marked by pragmatic actions and palliative solutions, does not encompass deeper historical and cultural strata, Nor does it define specific terms of development of the Balkan regions supervised by the International Community. Just like in the past war, so today, under conditions of unstable peace, the International Community takes into account the de facto state, while disregarding the legal, ethical, and cultural viewpoints. Even if its projects and goals (of which nothing reliable is yet known) succeed, their results cannot be the same in Bosnia-and Herzegovina as, for example, in Kosovo. Similarly, the measures undertaken and applied by the representatives of the International Community cannot be identical for all territories supervised by it. Finally, the International Community has enormous moral obligations towards Bosnia and Herzegovina: even though Bosnia and Herzegovina was left to defend itself in the war, today it has the right to demand help from the International Community in finding its own way of renewal and its place among the nations of a united Europe. This means creating the preconditions for consolidating the spirit of democracy and the basis of a civil society, as well as faster economic development. Bosnia and Herzegovina expects the International Community to help ensure that the place of the Bosnian state among the European countries is not that of an economic protectorate of the colonial type and to assist Bosnia and Herzegovina in transforming its potential into an opportunity for equal cooperation, connecting the south and the north of Europe, the east and the west, as an important geopolitical crossroads and a meeting point of different cultures and civilisations. The many meetings held between the party leaders and foreign diplomats, particularly the US ambassador, have been more redolent of political finger-wagging than any rational approach to negotiations. Both sides claim that it is just the first step towards reform of the Constitution and that passing the amendments would already be a major success. Both also ignore the fact that this “first step” has come more than ten years after the signing of the Dayton agreement. During this period, certain irreversible processes have taken place in Bosnia and Herzegovina: as return of the displaced and restoration of coexistence have been less than priorities for the international community, territories have become ethnically homogenized, most refugees have not returned to their homes, since not even minimal conditions for survival have been ensured; today the dead are more likely to return home than the living, or at any rate those who want to die where they were born. The remaining refugees have for the most part become assimilated emigrants, who have accepted their new home: their children hardly remember that their parents are from the Balkans, from Bosnia, from Herzegovina. And when they do return, these refugees choose areas where their ethnic group are in the majority. In this way, they unintentionally complete the process of ethnic cleansing and territorial differentiation, begun during the war. The demographic structure of the towns is in disarray: in Ljubinje, Nevesinje, Gacko, Rudo, Bileća, and Trebinje there are hardly (if) any Bosniaks or Croats; in Mostar and the Neretva valley, the percentage of Serbs is negligible; Sarajevo was once the city with second largest number of Serbs (after Belgrade), now it is Chicago. The proposed amendments to the Constitution of Bosnia and Herzegovina are largely cosmetic in character and it is well-know that cosmetic procedures can beautify the face, but cannot make it any younger. The proposed changes offer Bosnia and Herzegovina no pay-off in stability or in unity. These tactical changes, sell-outs, and mutual concessions have done nothing to advance the strategy of strengthening the State. State sovereignty exists only de iure . For Bosnia and Herzegovina to become sovereign there must be an end to states within the State – the Republika Srpska and the Federation. This contradictory and absurd model of a para-state apparatus is legally unsustainable and has in practice proven ineffective, expensive, and foreign to the experience and traditions of the three peoples, linked as they are by a multitude of mutual interconnections. Nevertheless, political oligarchy attempts to preserve the status quo and, on the basis of fallacious premises, arrive at a positive solution. This political chicanery finds support only in such circles as those that started the 1992 war, on similar grounds. Today it is obvious that the expulsion of the civilian population served above all as a means and a pretext for the creation of independent states, to create ethnically homogenous territories, and for the promotion of self-appointed leaders. While the initiators of conflict and the creators of the RS await the verdict of the International Criminal Court at The Hague, the fruit of their land-grab, in the form of the RS, enjoys all the perquisites of an independent state in the areas of culture, education, the media, tax and customs, and policing. The international community, by turns tutor, guardian, and observer, is more concerned with the fallout of the political situation in BiH than its causes, failing to pursue the players who forced that very situation on the peoples of BiH in the form of the Dayton Agreement. One must not forget that it was the international community which dictated the dynamic of the war; that through its inactivity (or bad judgment) facilitated the tragedy at Srebrenica; that determined what percentage of territory would fall to the aggressor, for crimes committed; that divided the State into two parts. Today, that same community refuses responsibility for a model of government that does not function: what is more, it is supporting forces that verbally accept the constitutional amendments, but in practice are trying to preserve autonomous privileges afforded them by the partitioned State. Sufficient reason may also be found to criticize the international community with regard to experiences during the war in BiH and the practice of administration in peacetime. During the war, the international community tolerated the initiators of conflict and took the side of the stronger (not the victim), in the belief that the “lords of war” were the only interlocutors. Today, in this instable and conditional peace, the international community accepts the logic of ethnic division and election results which carve up public functions into three parts. The strategy of the international community has not been raised to the level of reflection on the principles of truth and justice or to consideration of the deep historical causes which determine and shape the spiritual and political being of Bosnia and Herzegovina. The international community’s logic is not able to accept unity in difference, takes no account of solidarity which is not born out of humanitarian aid, investment programmes, or IMF loans. But such values are immanent to Bosnian and Herzegovinian tradition and have, through history, withstood various tests, always to triumph thanks to the strength of their ethical conviction. With regard to the reality of Bosnia and Herzegovina, international strategy is clearly bereft of any ethical or cultural and historical dimension. Behind the arguments of reason, stands political pragmatism. Division of BiH was begun following the Munich scenario of the dismemberment of Czechoslovakia in 1938: the sovereign state of BiH lost control over part of its territory. After the conflict, the lines of separation for wartime operations became the boundaries for the rounding-off of ethnically ‘clean’ territories. The current diplomatic sleight-of-hand regarding the composition of the Presidency, strengthening the government, and the choice of parliament is just a cynical amusement to comfort the public over the lack of real reform or improvement of living standards. As long as the entity boundary lines and the institutions that protect them are not erased and so long as the State has no governmental authority throughout its territory, reforms will remain a form of mere political speculation, pointless circular motion. If we want a united State of Bosnia and Herzegovina, then there are and can be no negotiations regarding its sovereignty within its territory or regarding its integrity. If we want it to survive, this axiom is not up for discussion. Or, perhaps, the decision has already been made for Cyprus-style partition. Without our knowledge and against our will. That would only confirm our conviction that we live in an atmosphere of historical deception. A unified State does not mean centralization of the institutions of power. To the contrary, it presupposes broad-based local self-government, on condition that it does not lead towards a strengthening of tendencies of localized self-determination, at the cost of the general or national interest. Cantonal ambitions, however, start with the demand for local selfgovernment in culture, education, healthcare, policing, media, and end with separatist desires and territorial claims, along the lines of “no identity, without an entity”. Advocates of preserving the entity model in the RS, at the very mention of reform, radicalize their approach and put in play the very survival of BiH, should the entity be erased: the RS is their booty and their chance to legalize their landgrab and usurpation of the goods of the forced-out non-Serb population, to get their hands on public property (natural resources, companies, capital, and foreign receivables), divide it up, and declare it national/ethnic property of the RS. In the multi-ethnic community of BiH, the concept of separatism, born and nurtured in the violence of war and mass displacement of populations, is absurd and unsustainable. Absurd, because it is in conflict with the age-old coexistence and mutual respect of different faiths and traditions; unsustainable, because modern Europe requires cooperation and exchange between states and peoples, regardless of origin or belief. The question is how the separatists will agree with foreigners, when they cannot do so with the fellow countrymen, with whom they share their origin and language. Moreover, the European Union is looking for interlocutors at State, not entity or regional level; this is why insistence on strengthening entity powers merely deepens political and ethnic/national antagonisms, and certainly prolongs the timeline for BiH to join European institutions. Separatist tendencies cannot strengthen a state, and a separatist and ethnic nationalist concept of government is not possible in Europe. Thanks to the imperatives of economic globalization and the logic of modern industrial production, businesses in Europe and the furthest of foreign parts are agreeing to integrate; in BiH, entity barriers are enough to prevent any cooperation or exchange. It is incomprehensible that major industrial systems (electricity companies, communications, transport, etc.) do not want to unite, even though productivity norms demand it. The idea of national closure takes on the grotesque forms of the nationalist ideologies of exclusion, the will, and self-determination. The proposed amendments to the Constitution of BiH promise more, with their invocation of a second phase of reform, than they actually do to change the status quo . For now, no one is talking radical measures. I fear that during the ‘second phase’, it will already be too late for any radical move: the entity boundaries will petrify (assuming that, in the meantime, demands for a third entity are not met), and population exchange and protection of property will become impossible, should any such initiative be made. I also fear that piecemeal reforms of the Constitution will lead to definitive legalization of the division of Bosnia and Herzegovina. I think it is high time for the State to establish its territorial integrity and take over the functions that belong to it. As long as Bosnia and Herzegovina does not enjoy full legal and constitutional authority as a state and Lose Weight Exercise the right to govern throughout its entire territory, negotiations on constitutional changes will remain at degree zero, the starting block. Note: This essay first appeared in Forum Bosnae , 38/7, “Unity and Plurality in Europe.” We gratefully acknowledge the author and International Forum Bosnia for permission to reprint this work. 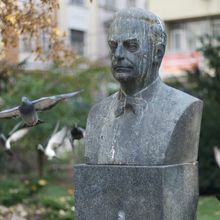 During the war Nikola Kovac was Minister of Education, Culture, Science and Sport. Then he went to serve as First Ambassador of Bosnia and Herzegovina in France.